On Thursday, April 18, from 6:00-9:00, students are invited to come and watch The Passion of the Christ at Vital Link. This event will also include a discussion time to focus on the Passover Lamb, the need for Christ to be that sacrifice, and the reason for and how we should approach the Lord’s Table. 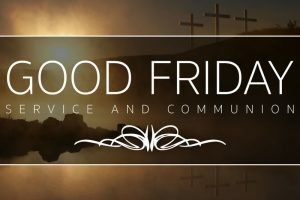 We will also be taking time to reflect on the condition of our spiritual lives and will be participating in Communion together as a group. This is a life changing, faith-building, and perspective shaping event. I encourage all teens to attend, even if they are hesitant to come. Hope to see you there!